Lord Knows I’m Not A Fighting Man, But I Want To Punch This Shirt To Death. 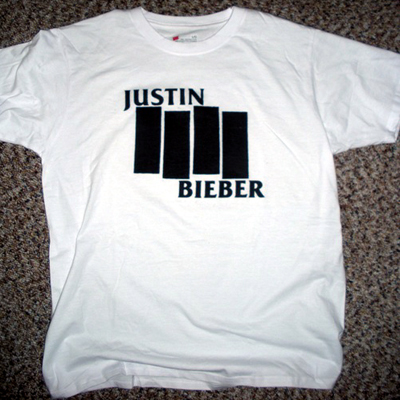 You know what, the existence of this Justin Bieber/Black Flag t-shirt makes me think that I may be getting too old for the internet. I think I’ve reached some sort of irony threshhold, and this definitely crosses it. I’m not exactly sure how though, strangely enough. If I had seen a character in a comic or cartoon with this logo on their shirt, I would have appreciated the irony and laughed. When I first saw the picture I assumed it was a mildly humorous photoshop. Apparently, however, the fact that this is an actual thing and you can buy it rubs me the wrong way. I think it’s because I now have to confront the fact that someone somewhere is going to buy this. Maybe even wear it. This isn’t the same as wearing a worn-out thrift store Color Me Badd or Kenny G shirt ironically. This isn’t even the same as wearing one of those fake thrift-store t-shirts that have been infuriating me for about a decade. This is worse somehow, and what makes it even harder to deal with is that I can’t exactly put my finger on why. 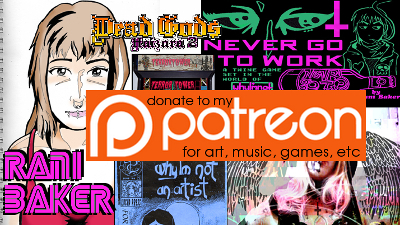 This entry was posted in Emo / Hipster, Internet Dating, Justin Bieber, Mashup, Parody, Review. Bookmark the permalink. Well, it does have the effect of riling up people like you. I'm not sure what to think about it, but maybe because I'm not entirely who Bieber is and that the symbolism of a black flag (outside of just the band) is lost on most people anyway.